Administered by GBCI, SITES is a rating system used by landscape professionals to align land development and management with sustainable design. After several years of beta testing, SITES v2 was released in 2015. By 2018, a wide variety of projects in the U.S. and abroad have become certified—more than 40 million square feet to date. The success of one project, the Hempstead Plains Interpretive Center, a 2015 pilot project certified at the Silver level, demonstrates that a nonprofit group with a small budget can meet the SITES prerequisites and gain sufficient credits. 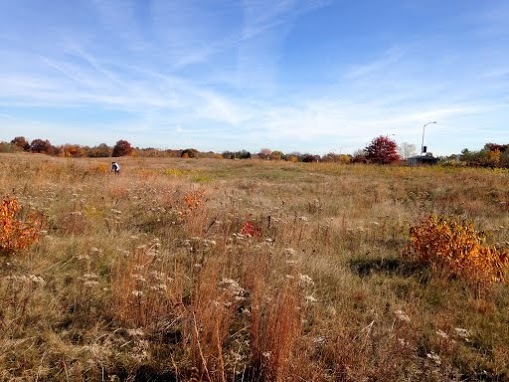 Located on a college campus in Garden City, New York, Hempstead Plains is one of the last remnants of what once was a 40,000-acre eastern prairie, the only one east of the Appalachian Mountains. The 19-acre interpretive center project included the design and installation of an existing education building, with site restoration. Included with the building design was a vegetated roof, cistern, compostable toilet, solar panels and "hyper-native" seeds (seeds collected on site) for the prairie grassland restoration and roof. The project designee, RGR Landscape Architecture & Architecture PLLC, and the SITES pilot project manager, CeCe Haydock, combined their experience to work closely with the client, Betsy Gulotta and the Friends of Hempstead Plains, to attain SITES certification. 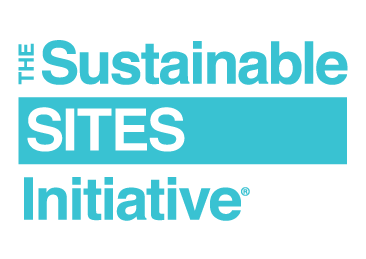 For design professionals interested in environmental stewardship, making the case for SITES is straightforward: As an early implementer of the system, the client or owner will gain national recognition in the expanding marketplace of sustainability. Hempstead Plains was once a beloved sanctuary of only a few preservationists and researchers; this year, the number of visitors multiplied and included a contingent of designers from the New York City Department of Parks and Recreation, who were interested in the prairie plant palette and green roof. Developers can benefit from project cost savings by reducing energy, maintenance, labor, materials and water. For example, transportation costs and future maintenance will be lowered by the use of locally imported native plants used exclusively at Hempstead Plains, fertilizers and pesticides will be unnecessary and less potable water will be used. For more expensive materials, such as soils, SITES promotes the reuse of on-site materials, such as recycled wood, concrete and asphalt. The education value of SITES is not to be underestimated. As high schools, colleges and universities implement sustainability into their facilities management and curriculum, students are seeing firsthand the value of green practices in both buildings and landscapes. While students learn about water cycles, pollination, waste streams and biodiversity in the classroom, the tangible benefits are experienced as they walk through sustainable buildings and outdoor courtyards, designed to provide healthy habitats for humans. Biology classes at Nassau Community College use Hempstead Plains as their on-site learning lab. To keep current and ahead of the competition, developers, contractors, architects and landscape architects must adapt to the growing demands on natural resources. More and more, the public is embracing the growing body of scientific research demonstrating the importance of green spaces for all in health, reduced absenteeism and greater productivity. Owners, clients and design professionals can work as an integrated SITES team and combine their efforts to create a better, more sustaining built environment while improving the bottom line.